Neuropharmacology Conferences takes pleasure in inviting the scientific community across the globe to attend the “11th World Congress on Neuropharmacology” scheduled to be held during May 6-7, 2019 Prague, Czech Republic which includes Workshop, Exhibitions, keynote presentations, oral talks, video and poster presentation in the field of Neuropharmacology, Pharmacology and neurosciences with motto to New Approaches in "Neuropharmacology: Drug Discovery, Design & Development"
Conference series llc Ltd Organizes 3000+ Global Events Every Year across USA, Europe & Asia with support from 1000more scientific societies and Publishes 700+ Open access Journals which contains over 70000 eminent personalities as editorial board members as reputed scientists and 1200+ Symposiums & Workshops. Neuropharmacology Scientists, Researchers, Faculty, Students, Medical Colleges, Neuropharmacology Associations and Societies, Business Entrepreneurs, Training Institutes, Members of different Neuropharmacology associations., Software developing companies, Manufacturing Medical Devices Companies, Data Management Companies. Prague is the largest city in the Czech Republic with a population of 1,3 mln inhabitants in 2016, amounting to 12% of the population of the Czech Republic. It is the capital city of the Czech Republic (CR) and politically, economically and culturally the most important city in the country. Czech Republic’s Exports: Medicinal and Pharmaceutical Product was reported at 653,117.21 USD th in Dec 2016. This records an increase from the previous number of 632,784.52 USD th for Dec 2015. Czech Republic’s Exports: Medicinal and Pharmaceutical Product data is updated yearly, averaging 244,129.63 USD th from Dec 1995 to 2016, with 22 observations. The data reached an all-time high of 724,933.22 USD th in 2014 and a record low of 75,806.94 USD th in 1995. Czech Republic’s Exports: Medicinal and Pharmaceutical Product data remains active status in CEIC and is reported by United Nations Conference on Trade and Development. The global market for drug discovery technologies and products was worth $38.4 billion in 2011. This figure is projected to reach $41.4 billion in 2012 and $79 billion in 2017, a five-year compound annual growth rate (CAGR) of 13.8%. By international standards, Czech healthcare services are excellent in terms of quality and availability of treatment. Devices used to monitor symptoms and manage disease are in growing demand. The most common cause of death is circulatory system diseases (heart disease, stroke, etc.). Czechs continue to be heavy smokers and the air in many industrial cities is somewhat polluted. Growing interest in joint Czech-U.S. projects in the health care field could generate new opportunities for U.S. medical equipment providers. eHealth and telemedicine have been much-discussed topics in the Czech Republic. The Czech Republic is a popular destination for medical tourism. It is known for reasonably priced quality treatment. Aesthetic medicine procedures, IVD treatment, obesity treatment and gynecological procedures are in the highest demand. High level of urbanization, concentration of many functions and the proximity of key players in the capital makes Prague a distinct center of development at a national level and places Prague above the other regions in nearly all of the structural indicators. For instance, it accounts for approximately one-quarter of the Czech GDP (24,4%, Eurostat 2017). As for the economy, Prague has a unique position within the Czech Republic: it is the economic center of the state and also a center for intermediation when it comes to multinational economic relations in the whole state. The total GDP in Prague amounts to 40,7 billion (PPS) and the GDP per capita is at 51.400 (PPS per inhabitant, Eurostat 2017).With this GDP per capita the region reached 203% of the Czech Republic’s average. At present, Prague exceeds the average values for the entire EU-28 (GDP per capita in Prague at 178% of the EU average). Higher GDP (generally typical for a metropolis) is related to a higher level of wages, localization of activities with a high added value and the concentration of central bodies of both the public and private sector.. Recent data from the European Federation of Pharmaceutical Industries and Associations determines the overall market size as roughly USD 2.4 billion. Though comparatively smaller when juxtaposed against some of the country's larger neighbors, the growth trajectory nonetheless appears rosy with pharma sales widely predicted to increase by as much as USD 1.27 billion by 2020. Prague is the Historical, political and Tourism capital of Czech Republic Prague was historical capital of Bohemia situated near to North West of Vltava river, who gave the city name by its. The amount of tenants in the city of Prague is 2.2 million people. It is a most Eco Heritage city on the planet and home to true blue note worthy focuses. Prague climate is very cold climate at winters and little summer season, the city played major roles in the Bohemian and Protestant Reformation. The city is both a helpful and division and structures within and focal station of the Prague Castle and Bohemia River Region. Prague the accepted "city of a hundred spires & the golden city is more finished the place saw by the entire world for its progress, thoughtful intrigue, and Beauty. The city covers a zone of 1,106.36 which solidifies two regions, the Prague and the Czechia. Neuropharmacology Conferences provides a worldwide stage to trading thoughts and make us feel great about the most recent advancements in drug discovery and health care services. Chance to listen the introductions conveyed by Eminent Scientists from everywhere throughout the world. 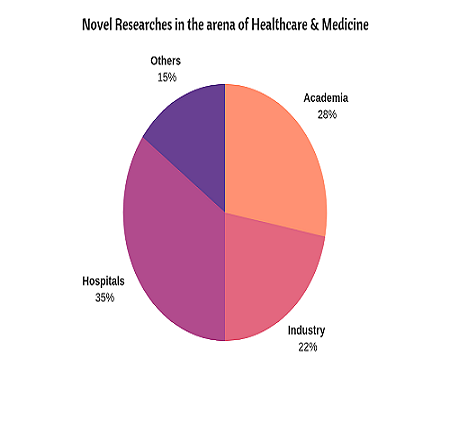 Leading health care professionals , Doctors, Professors, Associate Professors, Research fellows, Directors, Deans and many more from leading universities, companies and medical research institutions, hospitals sharing their novel researches in the arena of Healthcare & Medicine. The health care sector is very active and prominent in the Czech Republic. In 2015, healthcare expenditures reached $13.1 billion. Most of the expenditures were covered by mandatory healthcare insurance and other public sources. Private expenditures accounted for only $2.2 billion. The Czech Republic spends 7.5 percent of its GDP on healthcare. Although the government is examining ways to reduce healthcare expenses, including limiting purchases of expensive equipment and pharmaceuticals or adopting e-tenders, the Czech Republic offers strong opportunities for medical device companies. Expected growth in the sector over the next couple years is around six percent. The best market opportunities are for cutting-edge, high-quality sophisticated medical equipment, especially equipment that increases efficiency and reduces lengths of hospital stays. The Czech Republic is a highly developed, open market with liberal policies and intense competition. One of the challenges manufacturers and importers of medical devices and pharmaceuticals will face is getting the product on the reimbursement scheme that is covered by the insurance companies. This can, in some cases, be a time-consuming process. There are seven health insurance companies in the Czech Republic, General Insurance Company (Vseobecna ydravotni pojistovna, VZP) is the largest insurer. We gratefully thank all our wonderful Speakers, Conference Attendees, Students, Media Partners, and Associations for making Euro Neuropharmacology 2018 Conference the best ever! The 10th World Congress on Neuropharmacology , hosted by the Conferenceseries LLC Ltd was held during August 28-29, 2018 Paris, France based on the theme “Neuropharmacology: New Revolution, Innovations and Major Challenges". Benevolent response and active participation was received from the Organizing Committee Members along with Professors, Researchers, Students and leaders from various fields Pharmacology and Neuropharmacology, who made this event a grand success. Conferenceseries LLC Ltd expresses its gratitude to the conference Moderator, namely Miss Yoanna Koedzhikova, for taking up the responsibility to coordinate during the sessions. We are indebted to your support. Euro Neuropharmacology 2018 Conference offers its heartfelt appreciation to Organizing Committee Members, Honourable Guests, Chair, various outside experts, company representatives; eminent personalities who interlaced with Conference and supported the conference in every aspect, without your support the conference would not be possible. Your rejoinder is our inspiration; keeping this motto in mind and being witnessed the triumph of Euro Neuropharmacology 2019. Euro Neuropharmacology 2018 Conference would like to announce the commencement of the “Euro Neuropharmacology 2019” to be held during May 6-7, 2019 | Prague, Czech Republic we welcome all the eminent researchers, students and delegate participants to take part in this upcoming conference to witness invaluable scientific discussions and contribute to the future innovations in the field of Neuropharmacology and Neuroscience.